The son mentioned in the entry was in fact the harpsichordist Joseph Saxby, born 3rd January 1910, who toured America as his father’s accompanist when he was just 15. He would later work extensively with the Dolmetsch family. 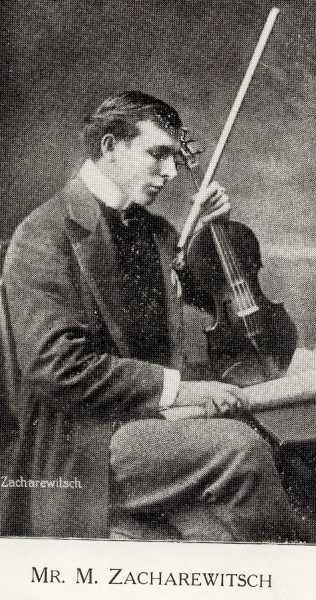 This Sarasate recording abridges some of the early parts of the work. The Moderato introduction is complete, but only 9 bars of the following Lento are included (cutting the remaining 24 bars of this section), and the first side finishes with the “Un peu plus lento” section, omitting an 8 bar repeat. Curiously, the second side then repeats this whole section (with the same repeat ignored) before progressing to the Allegro molto vivace, which is given in its entirety.